TYPE OF CAMP: Overnight/Sleepaway. Day Camp. Video/Filmmaking/Photography, Computers, Technology, Academics, and more. 2. Oglethorpe University is located in Atlanta NE in the Brookhaven area. 3. Baldwin Wallace University is located in Cleveland. CAMP FACILITIES: NCC camp locations use modern facilities at prestigious universities. 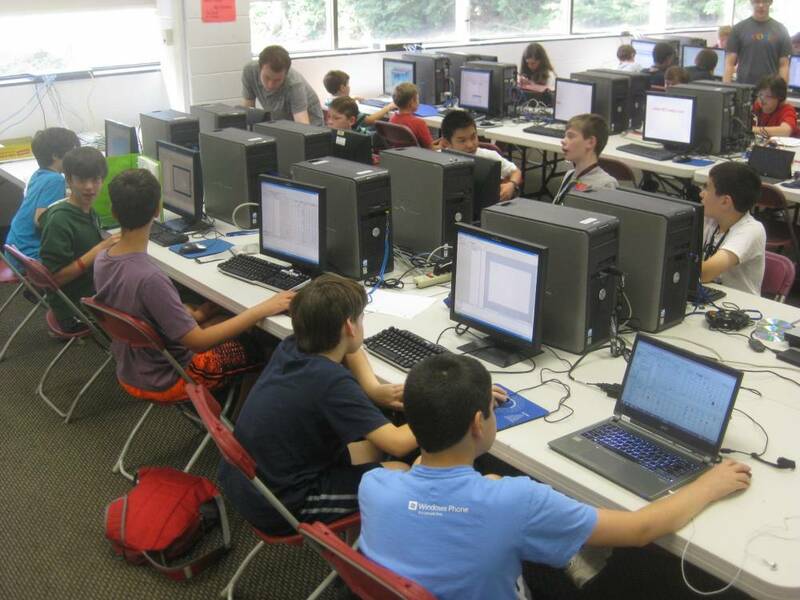 CAMP PROGRAM INFO: What distinguishes NCC from other computer camps is that NCC aims to teach youngsters ages 6-18 life long computer skills by providing a solid foundation in programming focusing on languages, 2D and 3D game design, applications and digital video editing. NCC is not a summer school, but rather a place where learning and fun are rolled into one and where the campers' self esteem is of foremost importance. The camp is for youngsters of all levels of experience from beginner to advanced. In addition to computers, campers enjoy an optional sports program. NCC also offers a 1/2 day camp for youngsters ages 6-8. Visit our website and be inspired by the possibilities! National Computer Camp is America's original computer camp now in our 38th summer. Please visit Our Camp Website Link: nccamp.com to read what parents say about NCC. Please visit Our Camp Website Link: nccamp.com for schedules and costs. There are a limited number of counselor positions available each year. Call 203-710-5771 or email jobs[AT]NCCamp.com to inquire. Go to The Best Connecticut Summer Camps Directory to Find More Top Summer Camps Near Connecticut.